Don Diego’s Gala-Licious Dinner & Concert was a Sweet Success! Del Mar, CA… Billed as “A Night of Sweet Treats Under the Stars,” Don Diego Scholarship Foundation’s June 7, 2018 Dinner and Concert Gala at the “How Sweet It Is” 2018 San Diego County Fair did not disappoint. From the minute Gala-goers entered the whimsical Fair entrance, then walked into the candy land-decorated Infield Pavilion devoted exclusively to them, met and mingled with scholarship recipients, enjoyed gourmet small plates, and ended the night with VIP Grandstand seating at the Kansas concert, they were treated to an evening beyond compare. Displaying a maturity reflecting their selection in a highly competitive year, students made it a point to find and thank individual Board members for their generosity. In a brief program, Vice Chairman and Gala emcee Karen Tanz introduced the students, each of whom shared their college and major with the crowd. Spontaneous applause rose up as the students recited their ambitions to become veterinarians, biochemists, agriculture educators and other professionals in diverse fields. Board member and exuberant auctioneer Frederick Schenk ramped up the bidding for iconic items and opportunities such as a Blue Ribbon Lamb and a Del Mar Thoroughbred Club horseracing Turf Club membership for two. Del Mar, CA… Omaha-based Creighton University, the prestigious destination for Don Diego Scholarship Foundation’s top 2018 recipient, Angelina (Gigi) Manasan of San Diego, says it offers a highly ranked education “where students learn to become leaders through service to others.” That makes it the ideal school for Angelina, who has epitomized leading through service – and adversity – throughout her young life. Faced with multiple, daunting, health conditions starting as an infant, Gigi has turned obstacles into opportunities to help others – especially medically challenged children – and she’s done it with a huge smile on her face, a lei around her neck and positivity in her heart. 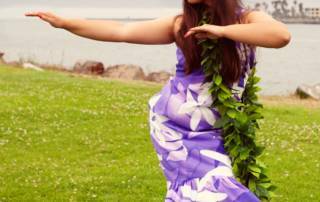 She established her scholarship eligibility by performing hula with Na Pua Ilima O’Kehaulani at the San Diego County Fair for more than ten years. She was unanimously chosen to receive the top $5,000 Exhibitor/Participant Scholarship plus the coveted $5,000 Spanjian Family Scholarship through her interview with the Don Diego selection committee. Del Mar, CA… It’s time to get your bid on! Don Diego Scholarship Foundation’s Online Auction of autographed guitars and other signed collectibles has opened at biddingforgood.com. Bidding closes at midnight on July 4, 2018. 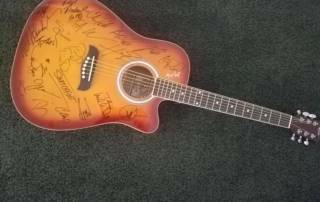 Among the iconic items offered are guitars autographed by the 2016 San Diego County Fair Grandstand performers and by popular groups and individuals. Each item offers a buy-it-now option. Auction proceeds benefit the Foundation’s educational programs, so when you win the bid of a guitar signed by a legendary musician, your donation is music to the ears of future leaders of our community. In 2018, 30 outstanding students throughout the San Diego area are sharing $72,500 in college scholarships to pursue their career goals. The Don Diego Scholarship Foundation was named for Don Diego, AKA Tom Hernandez, who served as the Fair’s welcoming goodwill ambassador from 1947-1984. To date since its inception in 1986, the Foundation has awarded approximately $862,000 in scholarships to 204 students and in agriculture education grants. More information is at dondiego.staging.wpengine.com and facebook.com/DonDiegoScholarship. $72,500 in Don Diego Scholarships Will Propel 30 Exceptional San Diego Area Students to Notable Colleges Around the U.S.
Del Mar, CA… Don Diego Scholarship Foundation is elated to announce that it has awarded a record $72,500 in college scholarships to 30 exceptional students who reside throughout the San Diego area and have participated in the San Diego County Fair and/or other activities associated with the Del Mar Fairgrounds. The students are dazzling in their diversity of talents and united by their desire to make the world a better place. They will be feted at Don Diego’s Dinner and Kansas Concert Gala at the Fair on June 7, 2018 (tickets are still available) before heading to prestigious UC and Cal State campuses; highly regarded universities in Idaho, Kansas, Colorado, Wyoming, Hawaii and elsewhere; and even legendary Notre Dame. Scholarships at multiple levels were awarded in the categories of 4-H, FFA, Employee, Exhibitor/Participant, Vocational Education and Junior Livestock Auction participant. The coveted $5,000 Spanjian Family Scholarship was bestowed upon the most outstanding recipient: Angelina (“Gigi”) Manasan, who also received the top $5,000 Exhibitor/Participant scholarship. 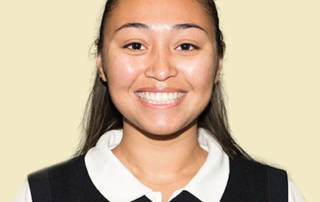 Gigi, who lives in San Diego and graduates from the Academy of Our Lady of Peace, will use her $10,000 award to attend Creighton University in Nebraska, where she will major in Mathematics. Del Mar, CA…	The Del Mar Fairgrounds’ Infield Pavilion will be transformed into a candy land of delight for one magical evening on June 7, 2018 for the exclusive Don Diego Gala at the “How Sweet It Is!” San Diego County Fair. Individual tickets at dondiego.staging.wpengine.com are $275, with a $25-per-ticket discount if purchased by May 21, 2018. Sponsorship opportunities are still available. A colorful cornucopia of sweet treats awaits guests, beginning with all day preferred parking, hosted cocktails starting at 4:30 pm, and a mouth-watering gourmet dinner of grazing and grilling small plate selections plus champagne and delectable desserts. Guests will mingle with a Who’s Who of San Diego society and meet the Class of 2018 Don Diego college scholarship recipients. 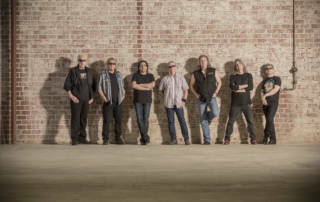 The students will be presented in a brief program before the Gala culminates in VIP stagefront seating in the Corona Grandstand for the performance of the iconic classic rock band, Kansas. A live auction will feature a case of Gold Medal wines, Blue Ribbon lamb, Grandstand stars-autographed guitars, other unique items and once-in-a-lifetime surprise opportunities. Elite sweet swag will make the evening memorable and complete. What is bigger – a fat, red radish lovingly tended from a tiny seedling that is now as large as a tomato – or the bright eyes of the young gardener accepting a ribbon for growing this delicious masterpiece of nature? Don Diego Scholarship Foundation’s (DDSF) partnership with the San Diego County Fair’s Plant*Grow*Eat agriculture education program transports Title One elementary school students to an enriching day at the Fair showcasing their lovingly-grown edibles, petting farm animals, and planting the seeds for a life-long love of agriculture and healthy nutrition. 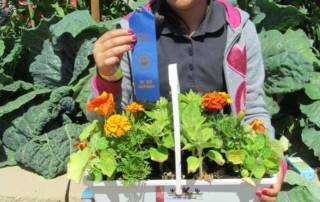 On designated days during the Fair, classrooms of students come laden with radishes, nasturtiums and other edibles that they have grown to be judged. Not every child’s entry will capture first place, but they all receive a participation ribbon, eat their veggies, and then have the opportunity to explore the agriculture areas as they enjoy a glimpse of the ocean; for some, their first time. Last year, the DDSF sponsored 65 buses that enabled over 3,400 students, teachers and chaperones from low-income Title I schools that do not have the funds to provide field trips for their students due to fiscal restraints and lack of parent associations to participate in Plant*Grow*Eat. Our goal this year is to expand the program and be able to provide 100 buses to the local Title One schools. 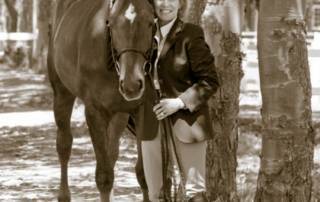 Del Mar, CA … Roxana Foxx of Rancho Santa Fe has been unanimously elected to serve as Chairman of the Don Diego Scholarship Foundation. A longtime Board member, Foxx was elected at the March 12, 2018 Board meeting. Also elected to the Executive Board were Karen Tanz, Vice Chairman; Tim Fennell, President; Juanita Hayes, Secretary; and George Karetas, Treasurer. In addition to these seasoned members, the Foundation welcomes new Board members Sandra DiCicco, Glenn Drown and John Hoeflich. The Board represents a wide array of agricultural, business and philanthropy-minded professionals who together offer a breadth of expertise that will continue to propel the Foundation forward as a preeminent San Diego institution that provides college scholarships to outstanding San Diego area students and grants that enable elementary students to learn about agriculture and nutrition from the ground up. Del Mar, CA … Don Diego Scholarship Foundation is featured on KOCT’s “Oceanside Spectrum” airing February 5-23, 2018 on TV and on-demand at www.koct.org. 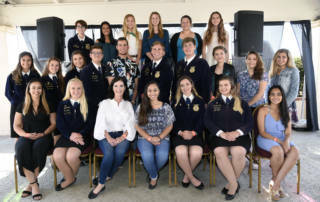 The program showcases the Foundation’s connection with the San Diego County Fair and its 2018 program offering a record $73,000 in college scholarships to 35 outstanding students who reside in the San Diego area and have participated in the Fair or other activities associated with the Del Mar Fairgrounds. 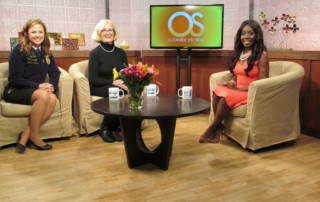 In the show, KOCT host Elaine Swann welcomes Foundation Executive Director Chana Mannen and 2016 scholarship recipient Taryn Sehnert. Mannen highlights the application process, available at dondiego.staging.wpengine.com. 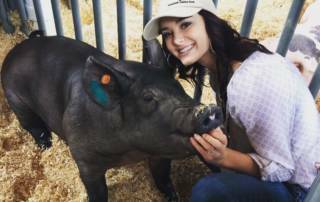 Taryn Sehnert, a 2016 Miss Fallbrook and longtime FFA leader, enthusiastically shares her love for the Fair and the many animals she has raised, leading to her desire to pursue an agriculture-related career. Having earned the National FFA American Degree, the highest honor bestowed by the organization, Taryn will transfer this fall from Mira Costa to her “dream school,” the University of Nebraska. She says she is grateful to Don Diego Scholarship Foundation for helping to propel her education. The Don Diego Scholarship Foundation was named for Don Diego, AKA Tom Hernandez, who served as the Fair’s welcoming goodwill ambassador from 1947-1984. To date since its inception in 1986, the Foundation has awarded approximately $862,000 in scholarships to 204 students and in agriculture education grants. More information is at dondiego.staging.wpengine.com and facebook.com/DonDiegoScholarship. Del Mar, CA … Don Diego Scholarship Foundation will award a record $73,000 in college scholarships to 35 outstanding students who reside in the San Diego area and have participated in the San Diego County Fair and/or other activities associated with the Del Mar Fairgrounds. Scholarships are offered in six categories. Individual awards range from $1,000 to $5,000. The deadline to apply is March 19, 2018. Eligibility details and applications are at dondiego.staging.wpengine.com. For questions, contact cmannen@sdfair.com. Finalist interviews will be held in May. Recipients will be honored at the exclusive Don Diego Gala during the 2018 San Diego County Fair. Each recipient also will receive a personalized Legacy Brick installed at the Fairgrounds. Scholarships of $5,000, $2,500, $1,500 and $1,000 will be awarded in each of four categories: 4-H, FFA, Employee and Exhibitor/Participant. Four $2,500 and 13 $1,000 scholarships will be awarded to 4-H and FFA students who participate in the 2018 Fair’s Junior Livestock Auction. Two 2,500 Vocational Education scholarships will be awarded to students who wish to pursue an AA/AS degree or certificate at a community college or accredited trade school. The coveted $5,000 Spanjian Family Scholarship will be bestowed upon the most outstanding 2018 recipient. 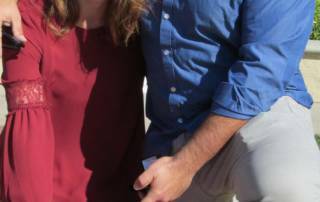 Del Mar, CA … The odds-on favorite at the Del Mar Racetrack on November 18, 2017 was not a horse, but a young San Marcos couple deeply in love. On this warm and sunny, picture-perfect morning, romance was in the air … and at the Don Diego Legacy Brick Fountain at the Del Mar Fairgrounds. Astonished to tears, Katie Brown, 25, screamed, “YES!” As they embraced and kissed, their families cheered. Even race fans walking by who typically would be buried in betting odds applauded and extended their good wishes to the ecstatic couple. The Del Mar Thoroughbred Club graciously hosted the entire Pettinato and Brown families for an afternoon they will not soon forget.